The Acoustical Society of America has selected Dr Yuning Guo of the University of Konstanz as its 2018-2019 Frederick V. Hunt Postdoctoral Research Fellow in Acoustics. Her successful research proposal entitled "Terahertz coherent phonons in thermal conduction modulation" will help advance research in the field of physical acoustics by providing useful insights into how to manipulate heat in non-metallic materials. The postdoctoral research fellowship, established in 1978 to fulfill Professor Frederick V. Hunt's wish that his estate be used to advance both science and education in acoustics, is awarded annually to one postdoctoral researcher. As the 42nd Hunt Fellow, Dr Guo will receive a research stipend in excess of EUR 40,000 and will carry out her research project at the University of Colorado Boulder, USA in collaboration with Professor Baowen Li, a pioneer in the field of phononics. After completing her undergraduate and graduate degrees in China, Dr Guo carried out her doctoral studies in phononics at the University of Konstanz under the supervision of Professor Thomas Dekorsy in the Department of Physics. Phononics is a branch of physics concerned with the understanding and manipulation of quantized acoustic waves – phonons – in a broad frequency range, from sound to heat. 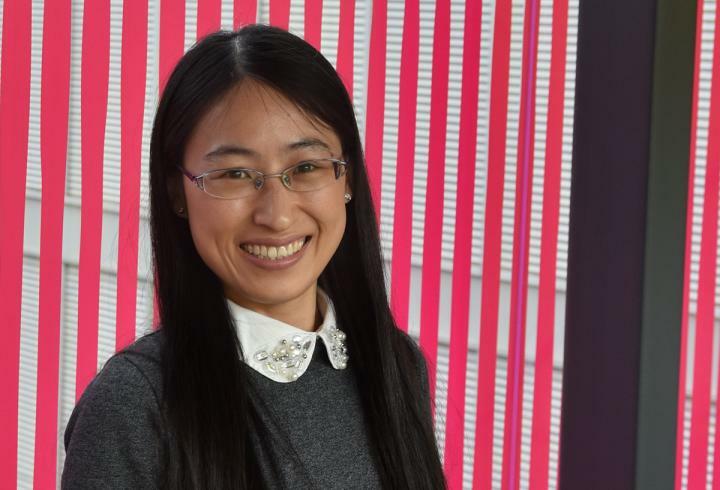 Whereas Dr Guo's recent research as part of her doctoral thesis focused on acoustic waves that oscillate a billion times per second (gigahertz) in nanomaterial, she will now focus on phonons that vibrate a trillion times per second (terahertz) in semiconducting materials. More specifically, Dr Guo intends to help address a heat-related research gap in the emerging field of phononics: How do phonons in the terahertz (THz) range affect the conduction of heat within nanostructures? "High-frequency acoustic waves in solids, particularly in semiconductors, are of great interest for both fundamental research and industrial applications because phonons are the main heat carriers in these materials", explains Dr Guo. Compared to optical waves (photons), phonons have more degrees of freedom in terms of movement. As a result, phonons can behave much more erratically, which makes it more challenging to predict and control their behavior. Based on the extensive experience with and knowledge of high-frequency phonon dynamics and thermal phonons that she accumulated during her time at the University of Konstanz, Dr Guo's future research, funded in part through the F.V. Hunt Postdoctoral Research Fellowship, will take on this challenge by helping to identify how THz coherent phonons contribute to the conduction of heat in nanoscale semiconducting materials. She anticipates that such heat conduction can eventually be modulated by controlling the movement of these phonons: "I expect that strategies can be developed to both suppress and promote thermal conduction in nanostructured materials, thereby enhancing phonon-based applications and devices in the near future".